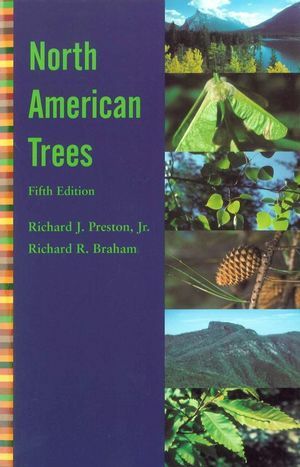 This comprehensive field guide/procedural handbook provides extraordinarily detailed descriptions of trees, shrubs, and vines of North American forests. Written at a more detailed level than most field guides, it introduces basic taxonomic concepts and methods and explains the rationale behind taxonomic classification systems. Well-organized and practical, this authoritative guide is an immensely useful resource for foresters, wildlife and field biologists, naturalists, environmental scientists, and land managers. JAMES S. FRALISH, PhD, is Professor Emeritus in the Department of Forestry at Southern Illinois University at Carbondale. SCOTT B. FRANKLIN, PhD, is Assistant Professor in the Department of Biology at the University of Memphis. HYOSUN PARK, BA, is a freelance illustrator and artist living in Milwaukee, Wisconsin. 2. Introduction to Forest Ecology. Part I: Taxonomic Concepts and Methodology. 5. Collecting and Preserving Specimens. 6. Key Construction and Use. Part II: Gymnosperms (Division Pinophyta). 7. The Gymnosperms: An Overview. 8. Gymnosperm Vegetative and Reproductive Structures. 9. Order: Pinales I: Pinaceae: Pinus. 10. Order: Pinales II: Pinaceae: Larix, Picea, Abies, Tsuga, Pseudotsuga. 11. Order: Pinales III: Cupressaceae. 12. Order: Taxales, Ginkgoales, and Cycadales. Part III Woody Angiosperms (Division Magnoliophyta)13. The Woody Angiosperms: An Overview. 14. The Woody Angiosperm Leaf. 15. The Woody Angiosperm Twig. 16. Angiosperm Flower and Fruit Structures. Subclass: Magnoliidae. Magnoliaceae, Annonaceae, Lauraceae, Calycanthaceae, Aristolochiaceae,Illiciaceae, Schisandraceae, Ranunculaceae, Berberidaceae, Menispermaceae. Subclass: Hamamelidae I. Platanaceae, Hamamelidaceae, Ulmaceae, Moraceae, Juglandaceae,Myricaceae, Casuarinaceae. Subclass: Hamamelidae II. Fagaceae, Betulaceae. Subclass: Dilleniidae. Tiliaceae, Salicaceae, Ericaceae, Clethraceae, Cyrillaceae, Sapotaceae,Ebenaceae, Styracaceae, Symplocaceae, Clusiaceae. Subclass: Rosidae IRosaceae, Fabaceae, Elaeagnaceae, Thymelaeaceae, Hydrangeaceae,Grossulariaceae, Iteaceae, Cornaceae, Garryaceae, Nyssaceae,Aquifoliaceae, Celastraceae, Rhamnaceae, Vitaceae, Araliaceae. Subclass Rosidae IIAceraceae, Sapindaceae, Anacardiaceae, Hippocastanaceae,Staphyleaceae, Rutaceae, Simaroubaceae. Subclass: AsteridaeOleaceae, Bignoniaceae, Scrophulariaceae, Rubiaceae,Caprifoliaceae, Adoxaceae. 24. Class: Liliopsida (Monocotyledoneae)Arecaceae, Poaceae, SmilacaceaePart IV: Forest Community Ecology: Combining Species into Communities. 25. Introduction to Forest Ecology and Classification. 26. 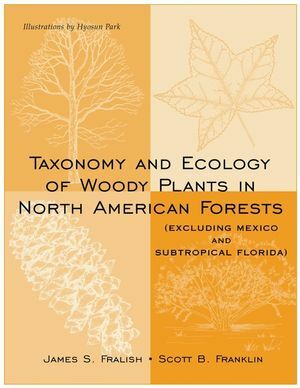 Forest Environment and Cover Types Regions 1 and 2: Northern Conifer-Hardwoodand Northern Hardwood-Conifer Forests. 27. Forest Environment and Cover Types Region 3: Central Hardwood Forest. 28. Forest Environment and Cover Types Region 4: Southern Pine-Hardwood Forest. 29. Forest Environment and Cover Types Regions 5 and 6: Rocky Mountain Conifer Forests. 30. Forest Environment and Cover Types Region 7: Northern and Southern Coastal Conifer Forests. Glossary of Genus and Species Names.